It was a very hot and sunny day in late December when my sister and I visited the Queen Mary, docked at Long Beach, California. Formerly a luxury cruise liner specializing in North Atlantic crossings (between US and England) for the Cunard Line, the ship has been retired since 1967 and now has a permanent home at the Port of Long Beach, where it does a brisk business as a luxury hotel, special exhibit venue, event space (get Married on the Queen Mary!) and one of Southern California’s most popular tourist attractions. 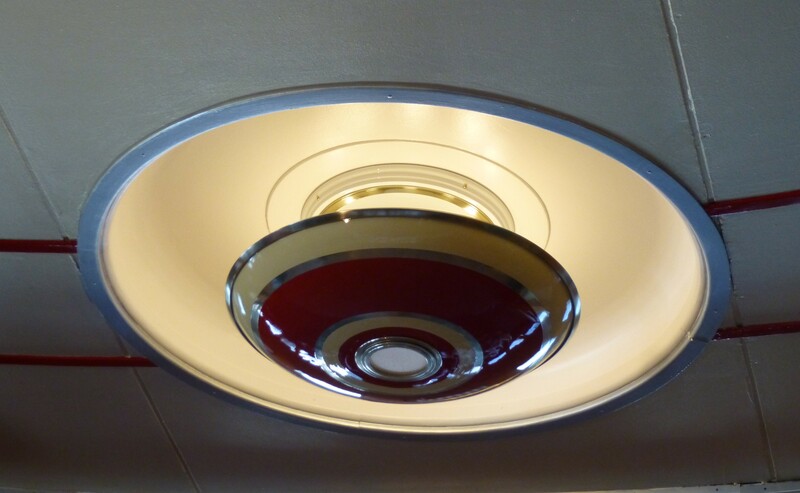 Having been on several cruises myself, it was especially fun for me to explore the ship and appreciate how all of the interiors and finishes have been preserved in the ship’s original Art Deco design. 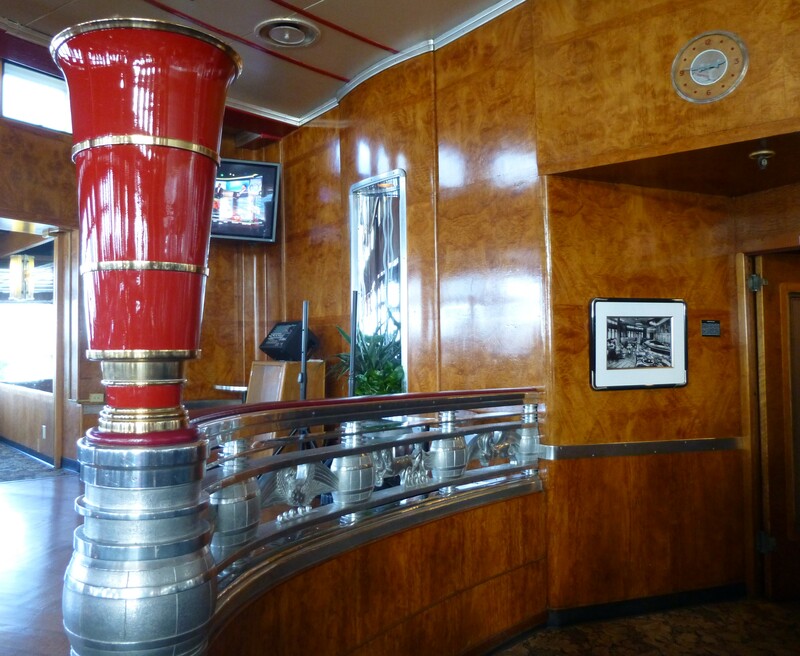 While some people might say that these finishes and interiors should be modernized, on the contrary, I think it would be a shame to obliterate so many visual remnants of this ship’s rich history. 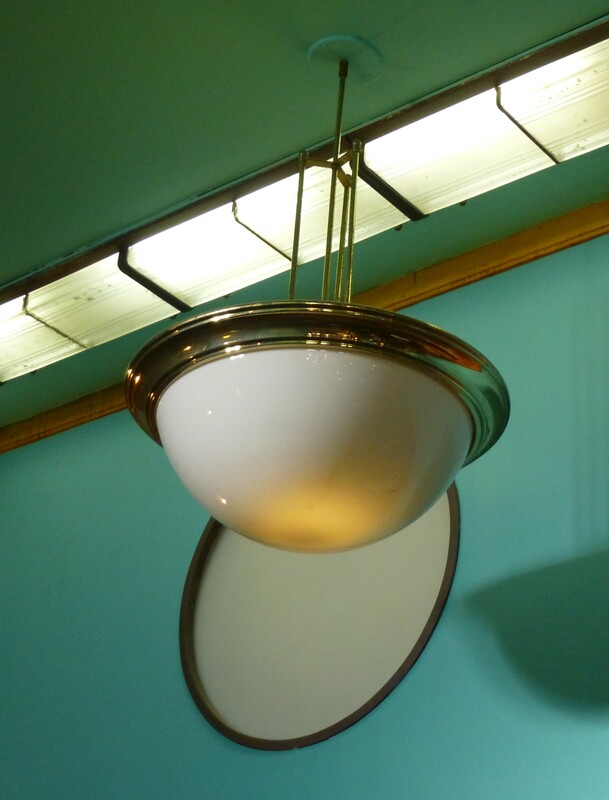 I have a background in architecture and interior design, so I found myself drawn to photographing a lot of interior details that some people might miss, but I think these photos will give you a good feel for the historic atmosphere on board the ship. 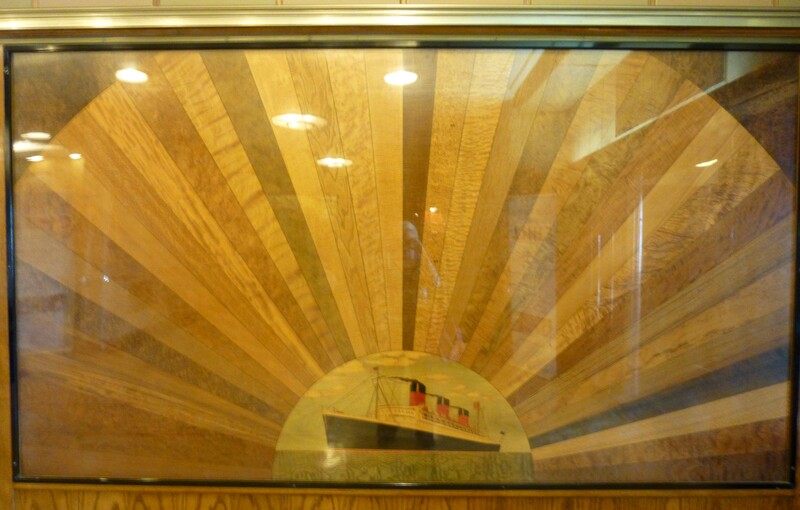 It is no secret that the ship is haunted and, in fact, you can choose to purchase several different self-guided or guided tours which will clue you in on the history of the various ghosts and hauntings that figure into the Queen Mary’s personal story. What I was reminded of most is the Overlook Hotel, made famous by Stephen King’s The Shining. I can only imagine how eerie it would be to roam the ship at night. This might be reason enough to investigate staying the night as hotel guest if that works with your plans. 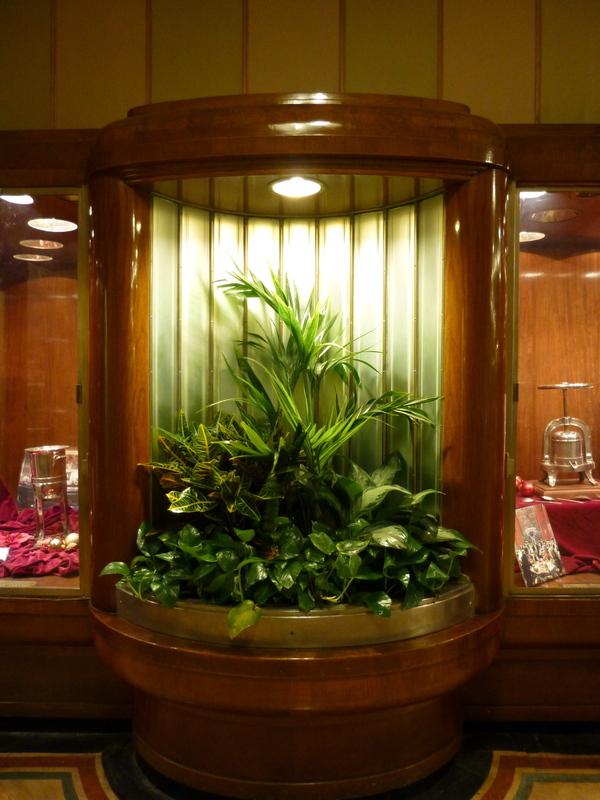 Located around the ship are tons of display cases that hold items for the ships history, such as serving dishes, china, bar ware, furnishings and souvenirs from the time when the Queen Mary regularly transported passengers across the Atlantic. 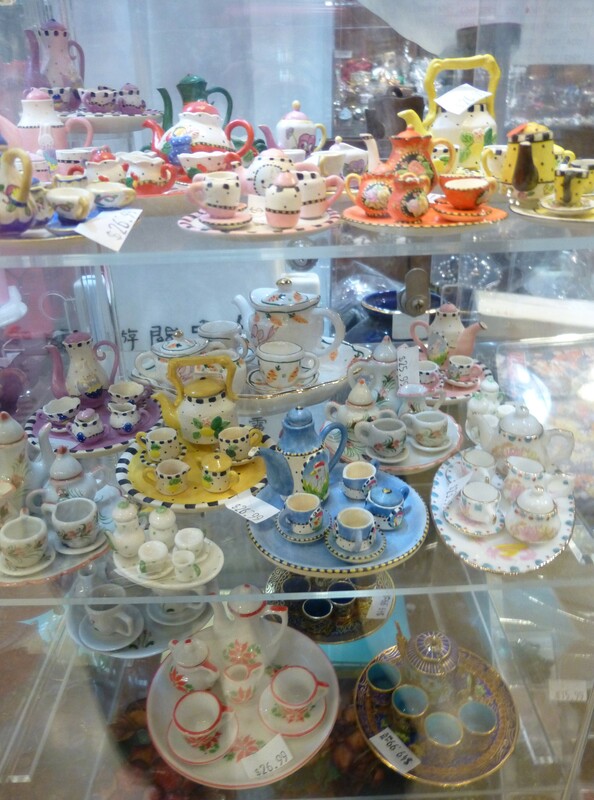 Each case has a write up on the background and history of each item. 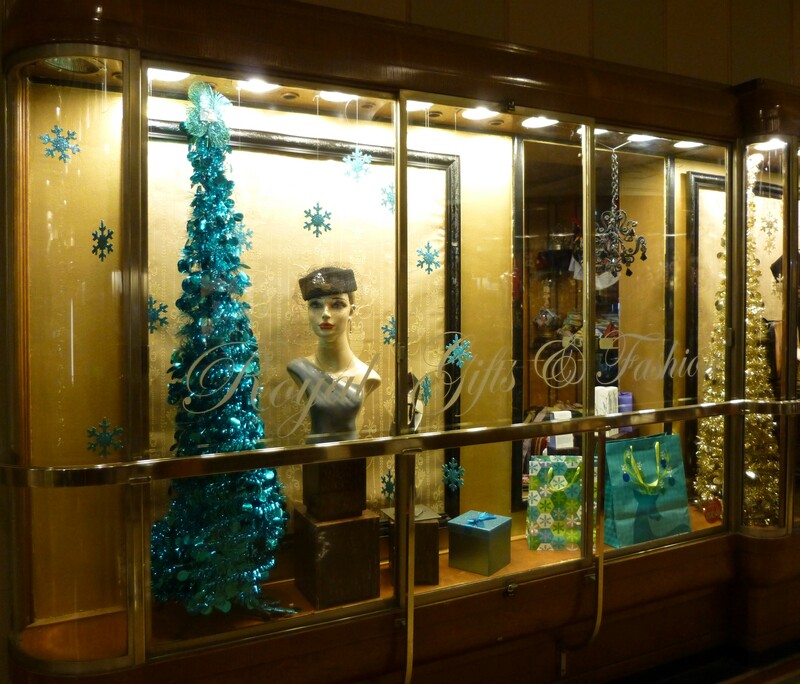 The Pendent light above can be found inside this very cool shop, Royal Gifts and Fashions, which sells dresses and other clothing and accessories, as well as jewelry and fun items similar to what you might find in a cross between a vintage clothing boutique and a Hot Topic. Very Fun! 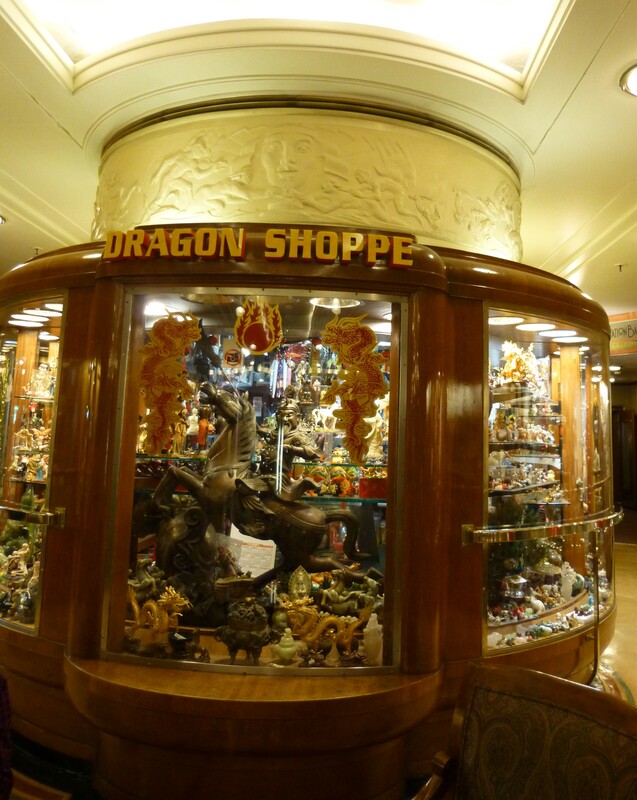 The Dragon Shoppe is an tiny import store that sells all kids of imported chotskies, collectibles and souvenirs. 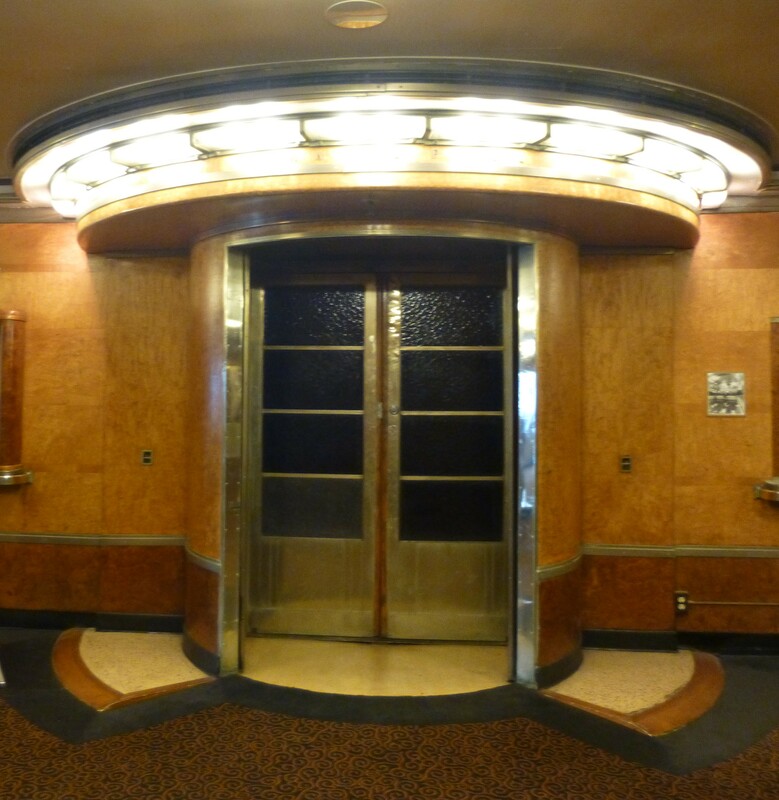 This is the door that leads to to the ship’s indoor swimming pool. Although it is not accessible to the general public, I believe there could be a guided tour you could purchase that would take you through that area. The ship’s original Ticket Office has been preserved with its original furniture, brochures and old fashioned office equipment. 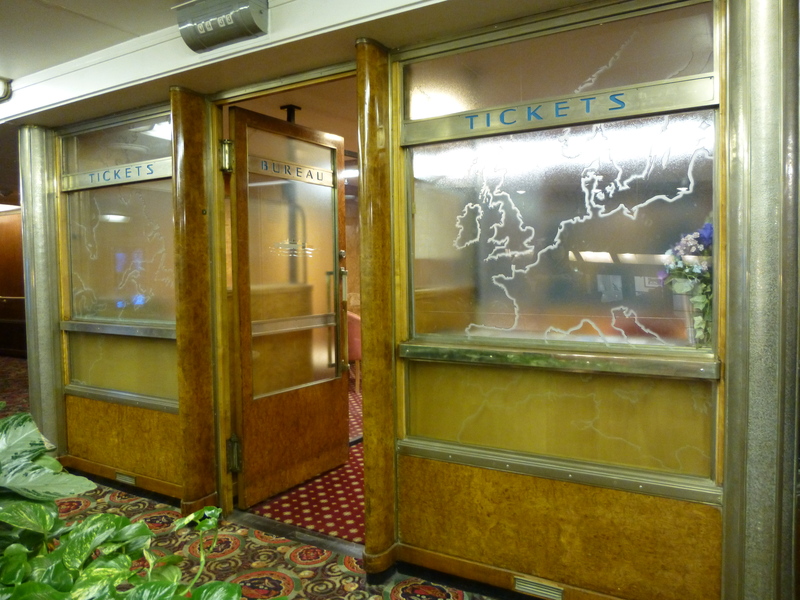 When the ship was functional, this is the place that passengers could go to book land transportation, trains or whatever they needed once the ship docked in the UK. 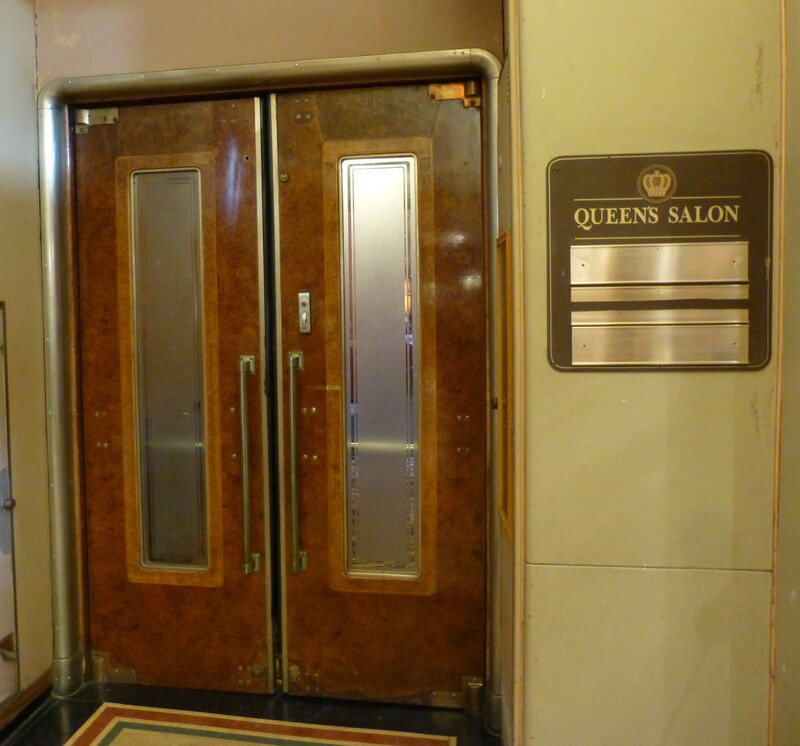 The Queen’s Salon is still used for banquet and wedding functions. 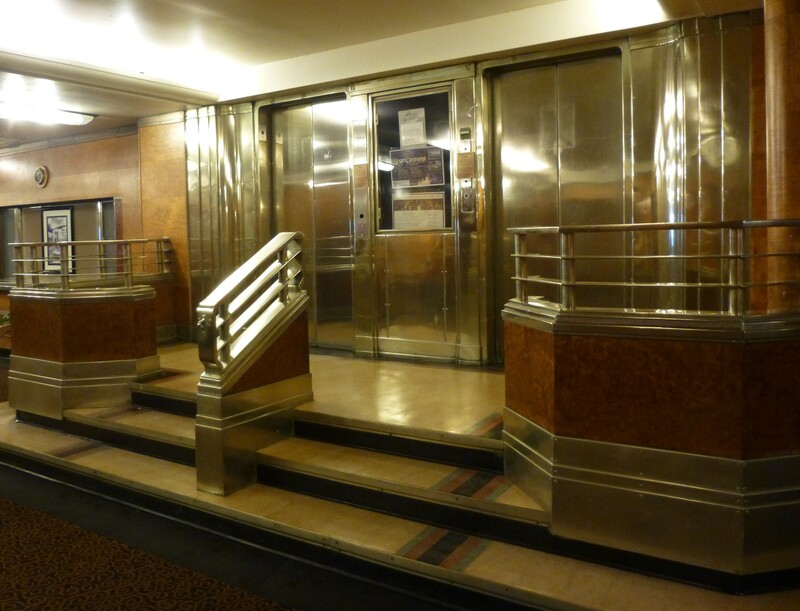 These elevators are no longer in use. 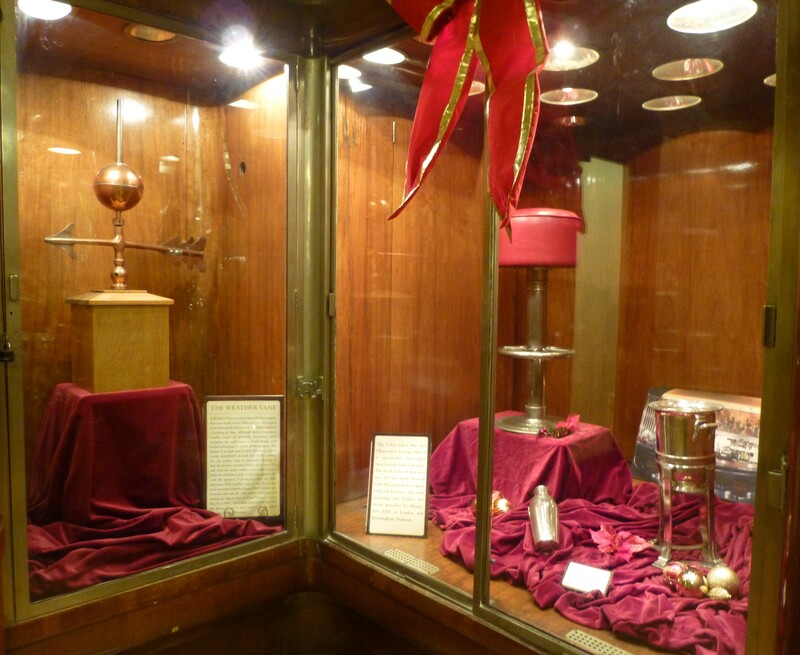 A few of the public rooms have been preserved or recreated to show them as they looked more than fifty years ago. 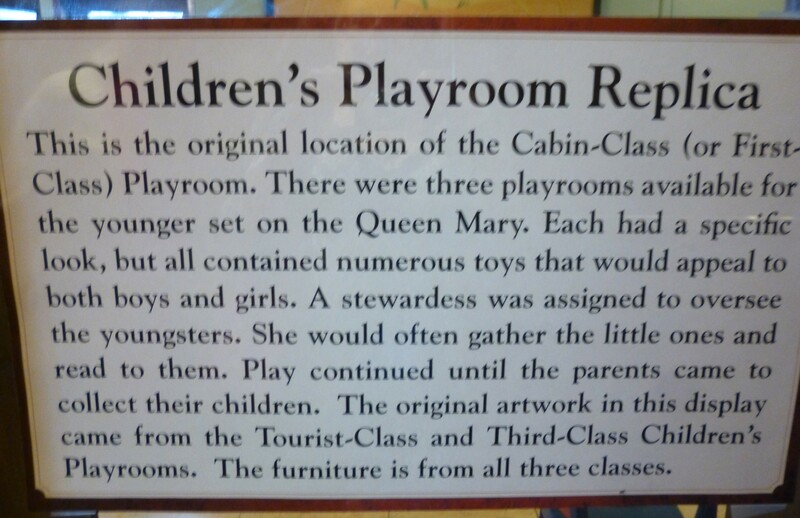 One of those rooms is the Children’s Play Room. 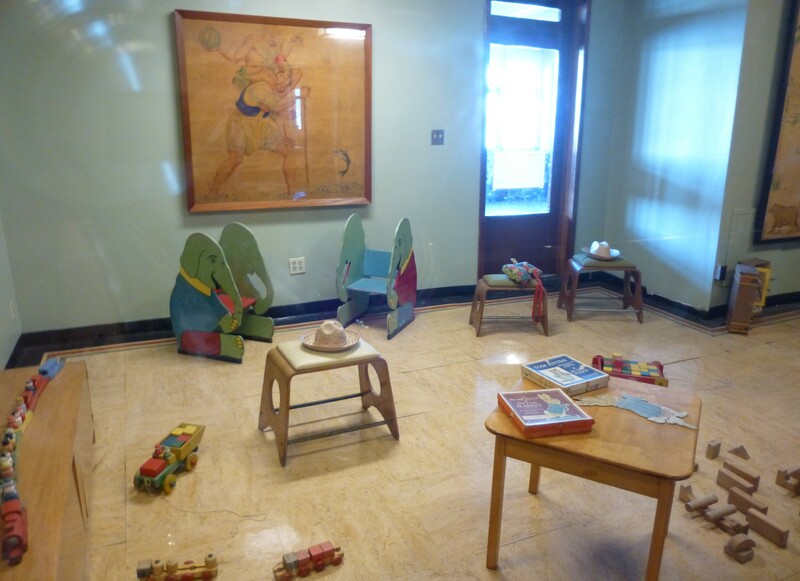 I imagine that children did have a nice time playing in this room, but to me it seemed rather sterile and reminded me more of a Pediatrician’s waiting room from the sixties. I bet there are some ghosts in here. 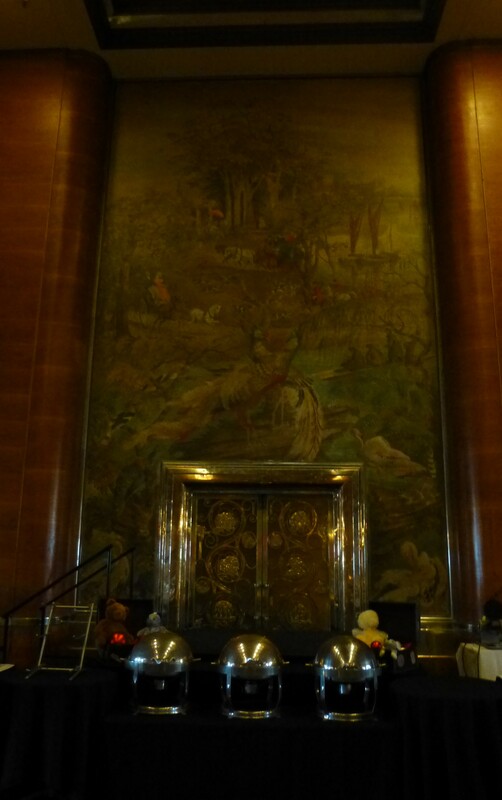 This is the Grand Salon, which is massive, and where the famous Sunday Champagne Brunch is served. 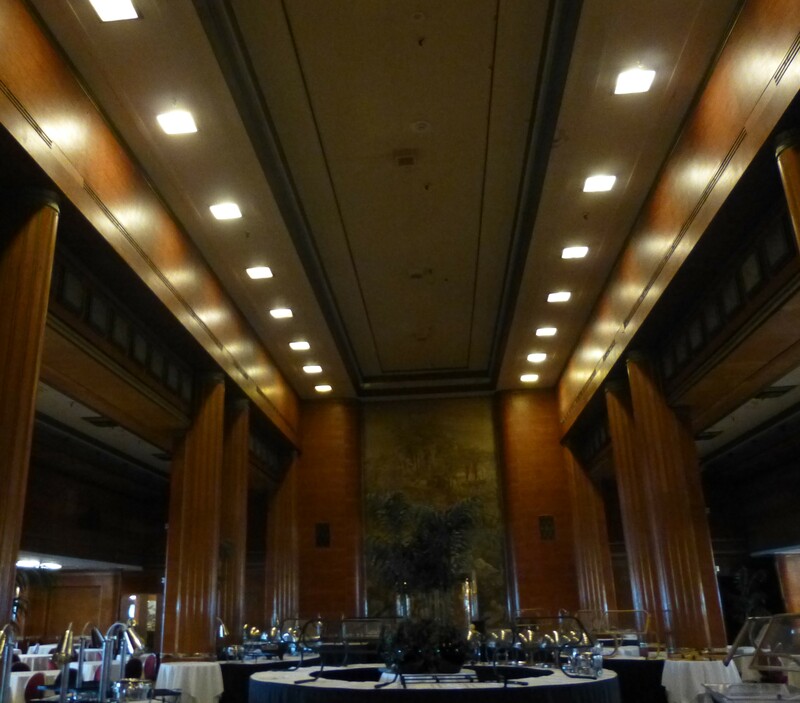 You can find out more about Sunday Champagne Brunch aboard the Queen Mary at This Link. 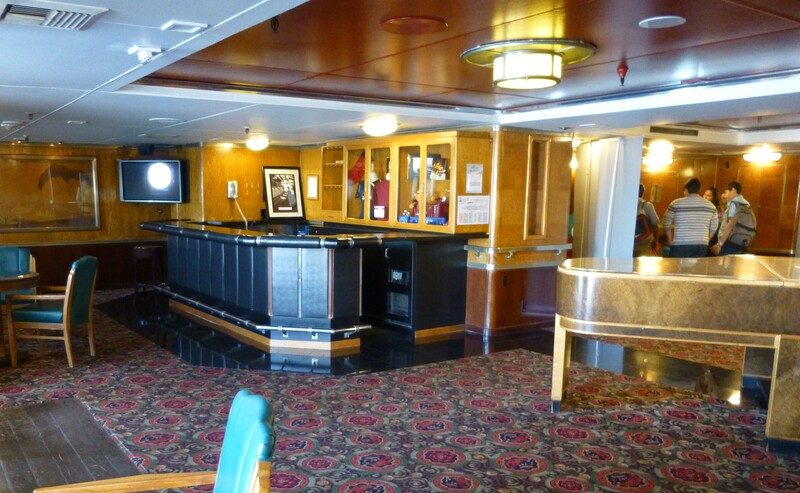 If you can’t afford $50 for brunch, the ship has many excellent restaurants, including the Promenade, where we enjoyed a fantastic BBQ Pulled Chicken Flatbred Pizza and an awesome Club Sandwich! 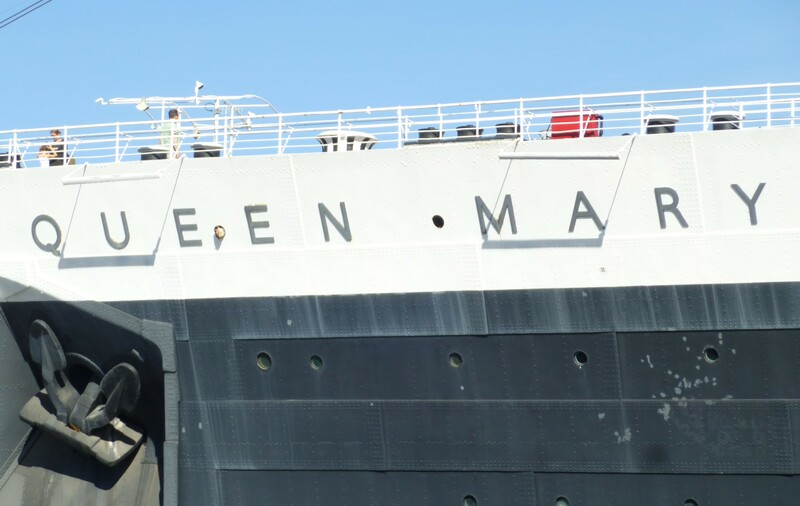 I had a great time exploing The Queen Mary and recommend you check it out when you are in Southern California. 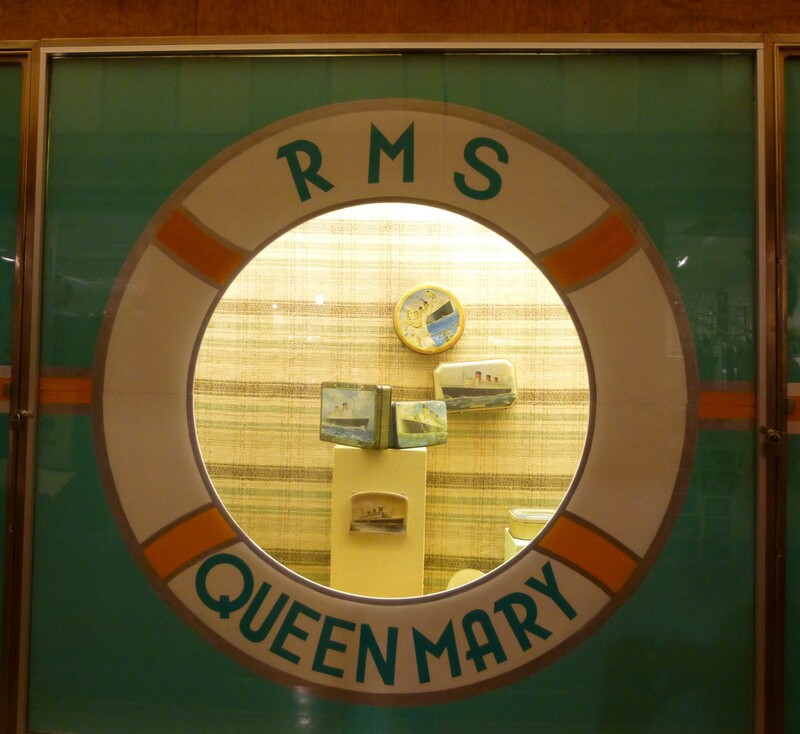 Find out more about all of the different tours and attractions that the Queen Mary has to offer and plan your trip by visiting This Link! Ever since the summer, when I served for two weeks on a New York City Grand Jury and was able to read three entire books in ten days, I’ve been on a bit of a reading jag. Here are some books I’m working on right now. Carrie was my editor back when I occasionally wrote for the late great All Stars News. She’s the one who assigned me to cover the Shakira Press conference at the Rainbow Room where I got so overwhelmed by my love for Shakira that I actually started crying. Carrie is awesome. 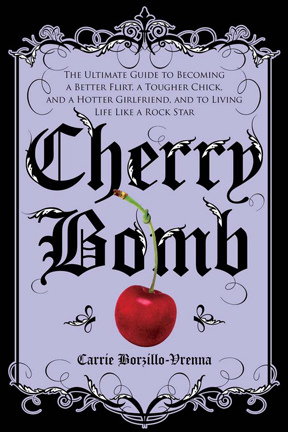 Cherry Bomb is her new book where she interviews a bunch of rocker chicks about how and why they rock so hard. 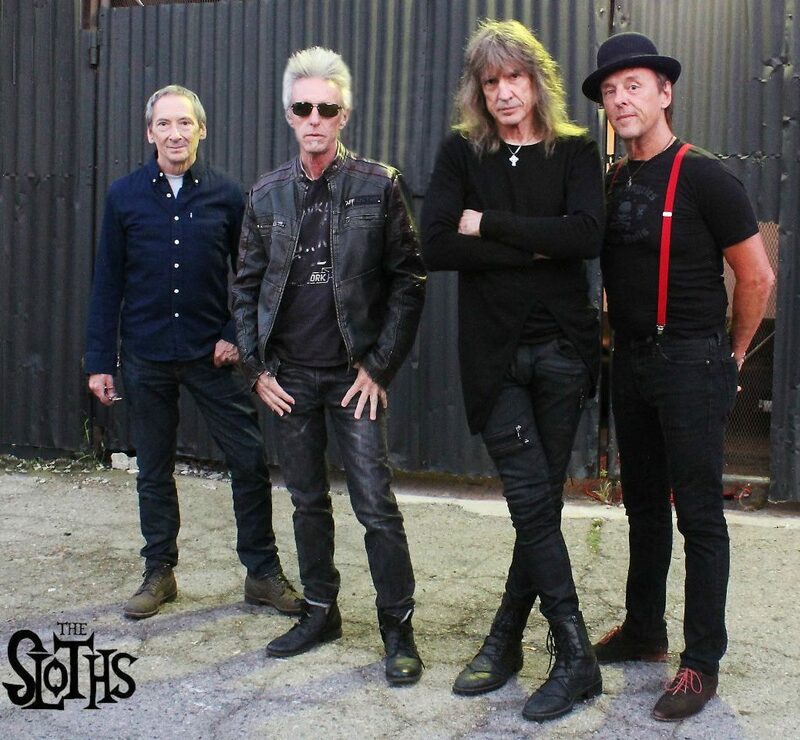 Sort of a Guide To Style for Rocker Chicks like me! Expect a more detailed review of Cherry Bomb on this page some time in the future once I finish the book. I recently saw the movie Choke, based on one of Palahniuk’s novels, and it made me want to read all of his books. This is the one I am reading now. Think “Survivor meets The Donner Party.” Very scary! Geoffrey let me borrow this one after a friend of a friend of mine made me promise I’d read it. I always wanted to read The Lovely Bones just because I like the title so much. I got a new, hard cover copy on Swaptree.com in exchange for a Katy Perry CD. What a bargain! This book doesn’t come out until November, but I got a reviewer’s copy in the mail just yesterday and I can’t wait to read it, because I hate new music too!